Decades of oral only education for the deaf have led to communication barriers and social isolation, as well as academic failure with many DHH students. 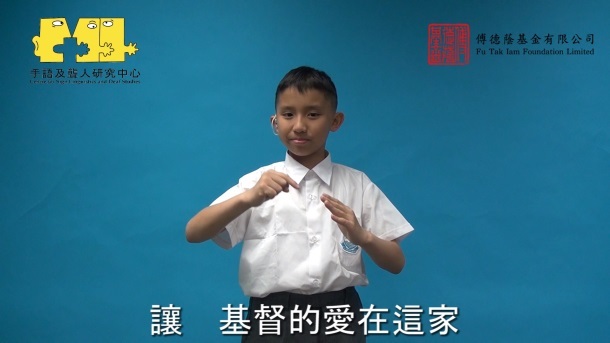 Since August 2014, Fu Tak Iam Foundation has been sponsoring the Centre for Sign Linguistics and Deaf Studies (CSLDS) of The Chinese University of Hong Kong to develop a brand new approach towards educating Deaf and hard-of-hearing (DHH) students in mainstream education. The programme, A New Milestone for Educating Deaf and Hearing Students: Sign Bilingualism and Co-enrolment (SLCO), is currently conducted in a kindergarten and a primary school*. It aims to rectify the perennial misconception that DHH children, especially those in mainstream education, should be raised and educated orally only. In other words, Hong Kong’s DHH children have been barred from exposure to sign language and the benefits that sign bilingual education can bring to their long-term language, cognitive and socio-emotional development. Indeed, decades of oral only education for the deaf have led to communication barriers and social isolation, as well as academic failure with many DHH students. Equipped with findings from sign language research and riding on advancement in assistive hearing technology, CSLDS started to innovate the SLCO Programme in mainstream settings in 2006. Unlike many mainstream schools in which there is just one DHH student per class, if not per school, the designated SLCO class at each level in the kindergarten and the primary school sponsored by Fu Tak Iam Foundation has a critical mass of 5 or 6 DHH students to study with hearing students. A unique opportunity for all these DHH and hearing students is that they will grow up bimodal bilingual to function in society, because of studying in the SLCO Programme they can learn Hong Kong Sign Language (HKSL) in addition to spoken languages like Cantonese, Mandarin and English, as well as written Chinese. Since 2014, the project has benefitted 78 DHH students and 1335 hearing students (269 of them are studying in the same class as the DHH students) in the kindergarten and the primary school. 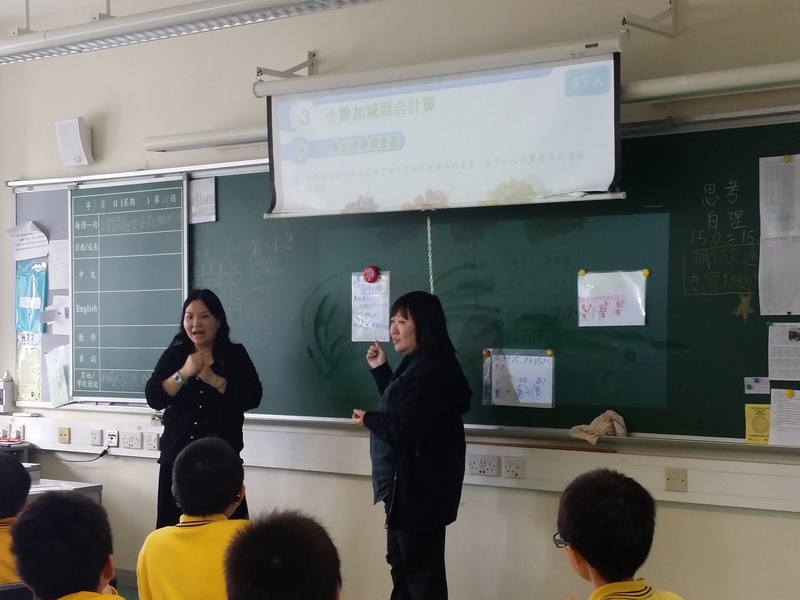 The SLCO classes are supported by ‘co-teaching’ between a Deaf teacher and a hearing teacher on a daily basis, using HKSL in parallel with one spoken language as the medium of instruction. Indeed, the adoption of an additional language – HKSL -- in class enables DHH students to enjoy FULL accessibility to a mainstream curriculum. Such dual-language support is not found in any other education settings. 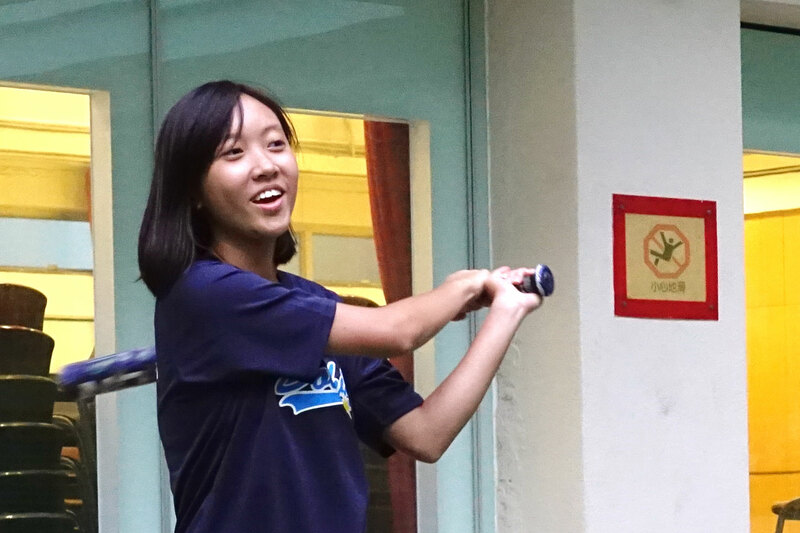 Supported by both HKSL and spoken languages, DHH students have acquired the confidence in following the lessons and participating actively in the classroom activities. Outside the classroom, they are also supported individually or in groups on their language and academic development through sign language classes, speech therapy sessions, Chinese and English reading programmes, and after-school or Saturday’s tutorials. The additional visual support for DHH students in the SLCO classroom turns out to be equally useful for hearing students. Do hearing students studying in the same class with DHH students lose out on this SLCO venture? It is gratifying to see them learn HKSL enthusiastically, for the new linguistic experiences they chance upon in their childhood. The additional visual support for DHH students in the SLCO classroom turns out to be equally useful for hearing students. Amazingly, within years of immersion in the SLCO environment, the hearing students’ HKSL skills have reached an adequate level for them to access the curriculum even from the Deaf teacher! At the senior level, it is not uncommon to see them sign in front of the class during classroom discussions. From a socio-cultural perspective, studying in the SLCO classroom encourages both DHH and hearing students to learn to appreciate each other’s differences and to nurture a positive attitude towards the flexibility of language choice between HKSL and speech in daily interactions. This innovative approach is not confined to the SLCO classes at school. Adopting a whole school approach also means HKSL is used regularly in many school activities such as school assemblies, recess, Bible verse, school ceremonies and special functions, as well as morning assemblies. When the DHH and hearing students as well as the Deaf and hearing teachers are encouraged to interact with each other freely through HKSL and spoken languages, one soon finds Deaf-Hearing collaboration at all levels. At school, a ‘Deaf presence’ will naturally result in bimodal bilingual communication among the principals and supervisors, Deaf and hearing teachers, Deaf and hearing parents, office clerks, computer officers, and even minor staff at the school pantries. Annual events in the kindergarten and the primary school like Deaf Festival, Sign language Day and Sign Bilingual Chinese New Year Carnivals to raise Deaf awareness among teachers and students would not be successful without the collaboration between Deaf and hearing teachers in programme design and implementation. One may wonder whether DHH students are barred from certain extra-curricular activities due to their hearing loss. Quite on the contrary, the schools’ policy is that all school activities are open to DHH students, including sports, dance, and choral speaking, drama and concert performance, as well as overseas exchange and competitions. To support their participation, a hearing bilingual teacher or a sign language interpreter is arranged to accompany them on those occasions, to ensure effective information access. Interestingly, on occasions when a sign language interpreter is not available, hearing students will come forward automatically to provide HKSL support for their DHH peers. Such sign language support of the hearing students could be interpreted as their ‘eagerness’ to test to what extent they can put the visual language they have been learning into good use. On the other hand, isn’t this ‘readiness to chip-in’ a reflection of the spirit of community support we are yearning for in society? Such gestures of the hearing students demonstrate their empathy for others because learning HKSL at school also means that they are aware of the communication needs of their DHH classmates. In sum, Deaf awareness is greatly enhanced due to the visible presence of Deaf teachers and students as members of the school community; and Deaf-Hearing peer support potentially results in social integration and inclusion, an achievement that the SLCO Programme has been commended for by many visitors to the programme. The SLCO Programme decided to set up a Junior Sign Language Interpreter Training Programme as an extra-curricular activity to further sharpen their skills. 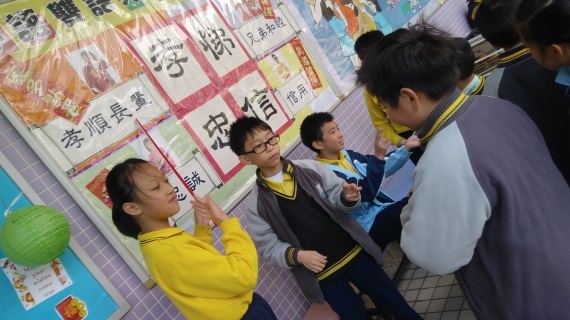 A few years ago, noticing that some hearing students who studied with DHH students were highly motivated to learn HKSL and excelled themselves in their signing abilities within the first few years of co-enrollment, the SLCO Programme decided to set up a Junior Sign Language Interpreter Training Programme as an extra-curricular activity to further sharpen their skills. Interestingly, out of an average of twenty students in the primary school who join the training programme every year, one or sometimes two DHH students also register for the training. Indeed, Deaf sign interpreters are getting more and more popular internationally for their signing skills and a better understanding of how information can be delivered in a ‘Deaf way’ to meet the needs of Deaf people. Currently, the training is taken to be an enrichment programme and is led by a Deaf teacher and a hearing teacher. 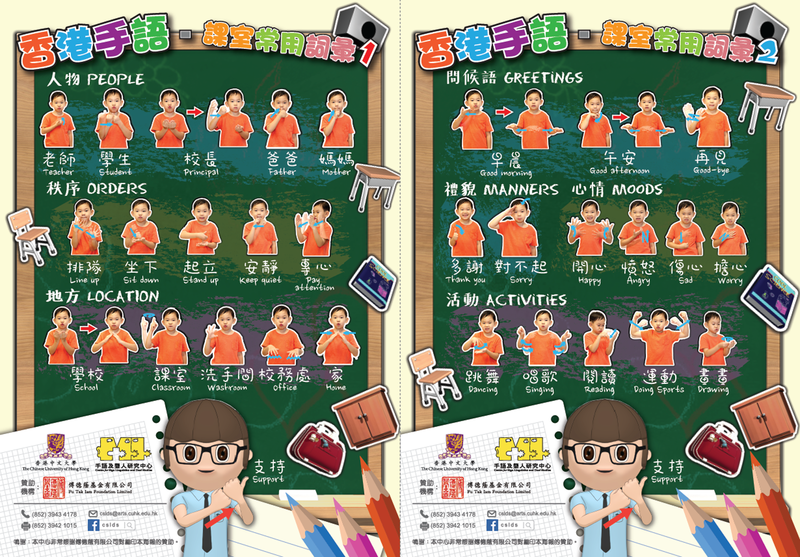 Handpicked by the Deaf teachers for the training programme, these junior interpreters are assigned to interpret between Cantonese and HKSL during school assemblies or school-based activities. Parents and teachers are often amazed by their proficient signing skills and their confidence in interpreting in and out of HKSL on stage. Offering these talented hearing and DHH students additional opportunities to learn about effective sign interpretation does pave the way for Deaf-Hearing collaboration to support sign interpretation in public media and social venues in future. A programme would not be successful without the support from parents even when good practices are in place at school. After years of experience in implementing the SLCO practices in the kindergarten and the primary school, one cannot deny the fact that it is the communication barrier that bars DHH students from enjoying classroom learning and school activities in mainstream education. By removing this barrier, the SLCO approach cultivates an inclusive and effective learning environment to benefit both DHH and hearing children linguistically, socially and academically. Being cushioned well in the dual-language classroom, stories of success with these students come one after the other. So far, 27 DHH students have received a total of 70 academic awards and 29 arts and sports awards in school, as well as 60 external awards, including 11 scholarships from external organizations. In what follows, let’s learn about their experiences. 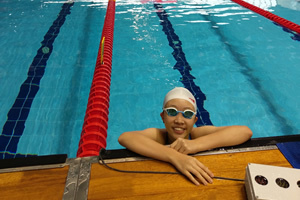 Chan Kei-yau has severe to profound hearing loss. Kwok Tsz-ching: I feel equal like hearing people. In the kindergarten, theme-based resources have been developed using PowerPoint presentations, worksheets, and vocabulary cards; HKSL videos have been prepared by Deaf teachers to support spoken language literacy development based on the school-based curriculum. When the SLCO Programme started a few years back, the practical question of what educational resources there are to support this new development quickly emerged. The answer is NONE because HKSL was not accepted in society to support the education of DHH children, thus no relevant materials were readily available. Therefore, Deaf and hearing teachers rolled up their sleeves to develop the resources and visual learning materials they needed to support the learning activities. In the kindergarten, theme-based resources have been developed using PowerPoint presentations, worksheets, and vocabulary cards; HKSL videos have been prepared by Deaf teachers to support spoken language literacy development based on the school-based curriculum. Over time, the collection of storybooks with HKSL renditions keeps expanding to support DHH students’ reading, literacy and cognitive skills development. In all, such efforts aim to help DHH children develop a solid foundation for primary education. In the primary school, there is an online platform documenting over 1600 HKSL-written Chinese terminologies to support subjects such as General Education, Mathematics and Religious Studies. It is considered extremely important that the terminologies are explained in HKSL so that students can grasp the meaning as well as the form in their concept formation process. Additional visual learning aids such as enhanced presentations and teaching tools for different subjects have also been developed for use in class. All teaching materials are stored in the school intranet, accessible even by teachers of non-SLCO classes. At school, all teachers can access these materials to enrich their daily teaching practices or to adapt the materials to support students with other special needs. In the SLCO Programme, DHH students are not just the end users of these materials, they also participate in the production of some learning materials such as HKSL posters and videos which have been distributed to other mainstream schools, further promoting HKSL in the local community. Other than benefitting the DHH and hearing students, the SLCO Programme also supports the professional advancement of Deaf and hearing teachers. 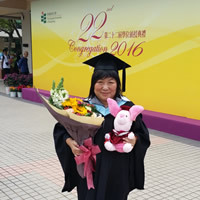 Joyce Pun Chung-sze, the first deaf signing person graduating from an education programme specializing in special needs. Teacher Keung Yuen-man wishes to get into the hearts of DHH students by learning HKSL. Selfless efforts rewarded! The new principal joined Ms. Keung and four other teachers on their great day! In recent years, the global trend is inclusive education in mainstream schools for the deaf. The SLCO Programme is a timely response to this development. Over the years, the Centre has taken the initiative to actively extend its impact to other local and international education settings. Besides providing training for teachers and related professionals through public seminars and workshops, it also renders consultancy and school support services outside of Hong Kong. Regionally and internationally, the SLCO approach has gained commendations for resolving the perennial problems of DHH children’s education. So far, educators and researchers from 31 countries and cities worldwide, such as the United States, England, Holland, Belgium, Singapore, Mainland China, Taiwan and Macau, have visited the programme. Some of the visitors also ask for professional and academic support in the development of a similar approach in their countries/cities. Taiwan is the first country that sought support from the SLCO Programme, now to be followed by Singapore whose government decides to adopt the SLCO approach in a mainstream primary school starting 2018. Macau, Guangzhou and Quzhou are preparing for change too and will be in partnership with CSLDS in the years to come. Another important mission of the SLCO Programme is to bring the needs of DHH children and their families to the attention of the government. Although Hong Kong has been a signatory of the United Nations Convention on the Rights of Persons with Disabilities since 2008, the measures taken to secure the rights of DHH children to receive a barrier-free education through sign language is almost non-existent. In this regard, the SLCO team has been working closely with some Legislative Council members and government officials to initiate discussions on the rightful education support to DHH students. On many occasions, both DHH students and their parents volunteer to participate in public events and meet with the government officials so that they could express their opinions directly to them. 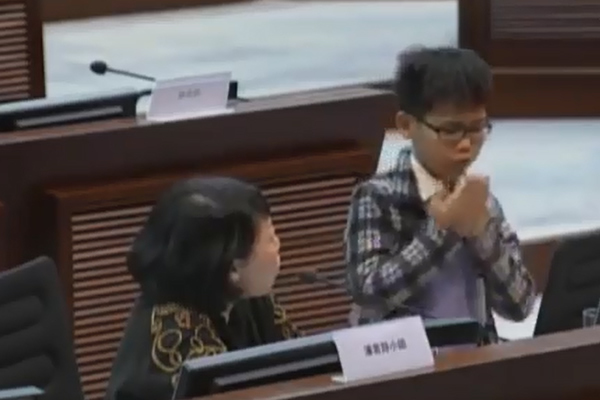 In March 2017, Tan Kai-chung, a primary four DHH student of the SLCO Programme, attended a meeting of the Legislative Council Subcommittee on Children's Right and delivered his message about the importance of sign language in deaf education. He urged the government to provide sign language support for DHH children. His online video feature attracts over 156,000 views (https://www.facebook.com/radicalhk/videos/1838850703030376/). Despite all these efforts, the government has yet to offer any positive response in terms of providing additional resources for DHH students who need sign language support in mainstream education. The SLCO Programme will continue its effort to raise public awareness on this issue and to push for positive changes in education policy and provisions. International recognition of the SLCO Programme is a big booster to the morale of the team members, for their efforts have earned Hong Kong the reputation of being the hub of sign bilingual education for the Deaf in Asia. 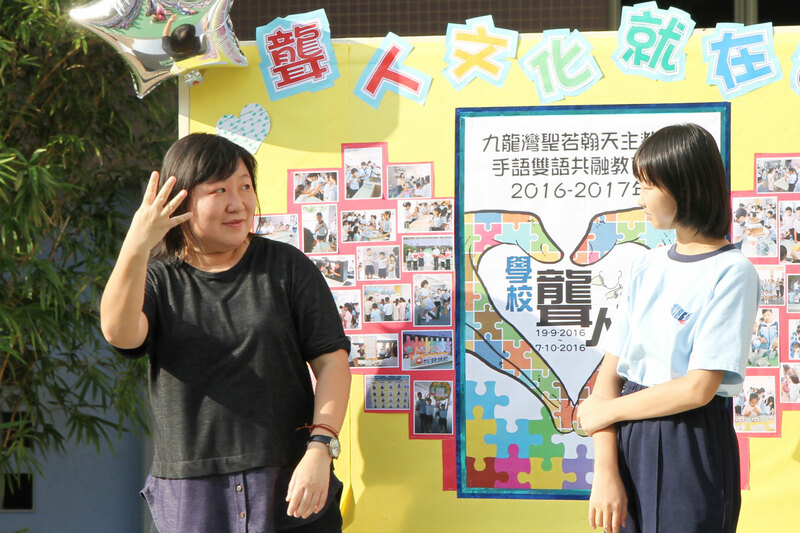 Given earlier misconceptions and prejudice against sign language among many educators, the road to Deaf education reform in Hong Kong is going to be long and winding. Nevertheless, the international recognition of the SLCO Programme is a big booster to the morale of the team members, for their efforts have earned Hong Kong the reputation of being the hub of sign bilingual education for the Deaf in Asia. 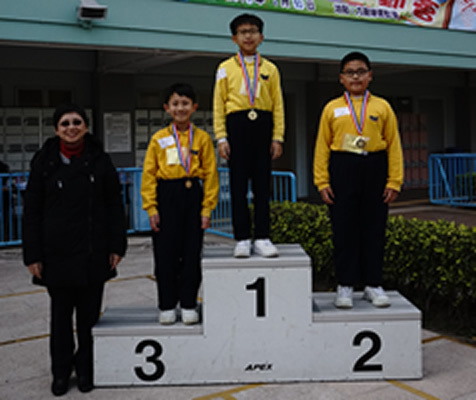 The support from Fu Tak Iam Foundation enables CSLDS to continue to sustain this innovative model of inclusive Deaf education not only in Hong Kong, but also for CSLDS to extend this model to other countries in Asia and the world. 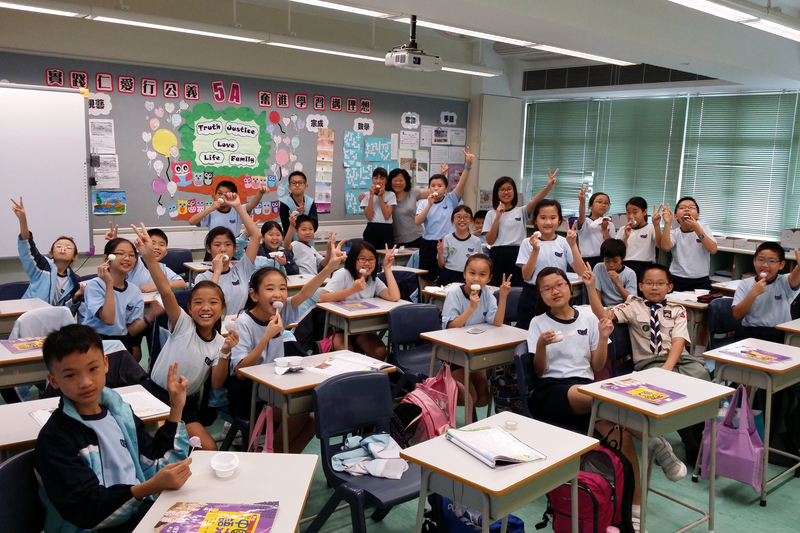 From a small classroom in Hong Kong, news about the positive impacts of the SLCO approach is spreading worldwide, transforming peoples’ perception that sign bilingual education, originally adopted only in special school settings, is equally applicable to mainstream education and has potentials to build a better Deaf-hearing inclusive society.